The O'Brien Toyota service team has probably seen every kind of battery problem you can imagine, and we want to make sure drivers near Indianapolis are able to get the most car battery life possible. We’ve put together a short guide on the subject, so you stay one step ahead of major battery issues. The length of a battery’s life can be affected by a wide variety of factors, including extreme hot or cold weather. Bad vibrations or frequent jump starts could also limit its life. However, if you take good care of your battery and check up on it from time to time, you can expect it to last for about four years. So, how much does a car battery cost? The answer will depend on what kind of product you’re willing to use in your vehicle. Prices can range between $50 and $150, but the most reliable options will run you closer to $200. We think the additional peace of mind offered by these premium components makes them well worth the investment. Check out our Indianapolis Toyota parts specials to save! If your vehicle’s warning lights come on, and there’s no other observable cause, your battery may have a very low charge. Your battery powers all of the electrical components in your car, and if one of more of these is not working properly, your battery is the likely cause! If your lights dim when the A/C or heat comes on, your battery should be replaced. If your engine cranks slowly, or has a hard time turning over, your battery may not be charging the components that allow your car to start! Belt or alternator problems could also result, so you should monitor your vehicle’s performance carefully. Even if you haven’t noticed any major problems, it’s a good idea to open up the hood and take a look at your battery every now and again. If you can see corrosion on the battery posts or cable, you should schedule service to have your battery changed. Wondering how to test a car battery? Although you can procure a battery tester from your local Indianapolis parts department, you can also use a simple headlight test. Just put the car in park and rev the engine gently. If the lights get brighter while you rev, that means the battery is running out of power, and should be replaced in short order. Although it’s possible to replace a dying car battery yourself, these components require special disposal. In general, it’s quicker and easier to bring your vehicle into a local service center. If you notice your battery leaking, it’s important to attend to the problem right away. A leaking car battery can be very dangerous, and it will generate additional damage if it isn’t fixed quickly. What’s more, a DIY car battery replacement might prove dangerous! Bring it into an expert at O'Brien Toyota for quick and convenient Toyota service in Indianapolis. What can cause a car battery leak? Batteries are vulnerable components, so any number of issues could cause one to become cracked, warped, or damaged in some other way. Improperly sealed cell caps might also cause the issue, so you should take a look at all battery connections every time you get under the hood. Why Choose Genuine Toyota Batteries? Whether you’re replacing a battery or some other important component, genuine Toyota parts provide significant advantages over competing aftermarket options. What’s more, depending on how old your vehicle is, genuine Toyota parts might be required to keep it under warranty! It might be hard to tell the difference between genuine Toyota batteries and aftermarket batteries if you go to a third-party store or shop online. To avoid mistakes, secure your replacement car battery at the O'Brien Toyota parts department, your source for trusted Toyota parts in Indianapolis. We offer superior options, including the Toyota Truestart™ battery, so you can enjoy dependable performance each time you start your engine. What is the Toyota Battery Warranty? When you purchase a genuine Toyota battery from a qualified retailer, you’ll enjoy 100 percent replacement coverage for a full two years! You’ll also benefit from 50 percent replacement coverage for six months after this initial period ends. Note that the warranty will not apply to batteries that have been recharged, batteries that have been dropped or cracked, or batteries that have failed due to improper use. Replacing a Toyota Prius battery can be significantly more expensive than replacing a Toyota Camry battery or a Toyota Corolla battery. For this reason, you should be glad to learn that the Toyota Hybrid battery warranty includes especially generous coverage! Coverage persists for eight years or 100,000 miles, whichever comes first. If you want your car battery to last for as long as possible, secure your Toyota parts and service at O'Brien Toyota. The experts at our Indianapolis Toyota service center are always ready to help, and we’ve made it easy to schedule service online. Some warning lights show that there is a problem in your car. Hence, they indicate that your vehicle needs immediate attention. 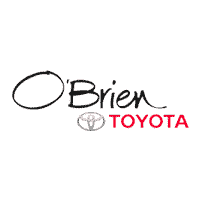 Our team at O’Brien Toyota has summarized them for you so that you can drive smoothly in Indianapolis. Here are the three essential dashboard warning lights in your car that you should know…. 0 comment(s) so far on Do I Need to Replace My Car’s Battery?